The Goods & Service Tax (GST) has been hailed as one of India’s biggest tax reforms and it aims to be a harmonized tax on goods and services across all Indian states. It will bring about a paradigm shift in how indirect taxes are managed in India. The GST is expected to push India’s GDP to over 8%, besides making the movement of goods easier across states. As taxes are varied across the states, often commercial vehicles have to go through multiple checkpoints to obtain the relevant permits and pay several taxes to the states as they pass through to reach their destination causing significant delays. A uniform tax is expected to make the movement of commercial goods & products smoother and reduction in paperwork to a large extent. GST is a component of the fiscal structure meant to replace many of the multilayered indirect tax regimes currently prevailing in India. GST is tax on the supply of goods and services, right from the manufacturer/service provider to the consumer. Value Added Tax: Credits of input taxes paid at each stage will be available in the subsequent stage of value addition. Seamless credit across entire supply chain will reduce cascading effect of taxes on the cost of goods and services. supply of goods and services in India. 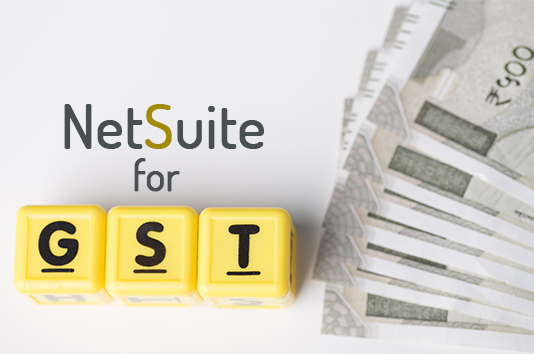 For companies using or planning to use NetSuite, Inspirria Indian Taxation solution is an easy integration for all Indian customers. It enables you to automate your company’s Indian Taxation Statutory reporting including GST. Inspirria’s Indian Taxation Bundle is GST compliant with automated CGST, SGST, IGST, TDS calculation and Statutory reporting. Defines GST registration details at different entity levels. Captures Tax details at customer and vendor level. Configure tax codes and groups. Define auto numbering for sales in invoices. Tax details and attributes capturing at transaction level. GST tax returns (GSTR 1,2,3 & 6 ).